Jihomoravská armaturka spol. s r.o. will be introduced as an important member of the international production group of VAG. With this brand the company also acts in the world. Come to visit us in the hall P7 and discover the successful projects that JMA / VAG realized in the world. The company KUNST, the leading Czech supplier the technology for water management units – wastewater treatment plants, water treatment plants and pumping stations – celebrates the 25th anniversary of its establishment. The company will present the wide range of its products at the fair, e.g. the pasteurization unit for sludge hygienisation (the unit is registered to the competition Zlatá Aqua 2016) or stainless steel underdrain system TRITON designed instead of interbottom for filters used at water treatment plants. The company Strojírny a opravny Milenov, one of the Czech leading producer of technological devices for wastewater treatment plants, potable water treatment plants and pumping stations, will present the wide range of its products and services at the fair, e.g. stainless steel pipes of dimensions from DN 300 up to DN 1400 produced by the welding machine, water jet cutting, pickling and passivating of stainless steel. Welding of stainless steel segmented elbows using the welding machine will be presented as the new services of the company. The company ASMEX is an exclusive agent of leading producers in the segment of utilities and pipe systems. On the AQUA 2016 exhibetion will be presented Gerodur range of polyethylene pipes with newly developed GEROfit®REX Barrier Pipe – PE pressure pipe with diffusion resistent barrier layer. tablano | GIS Services, s.r.o. We would like to present tablano - innovative mobile application for field work, allowing the tablet to collect and edit various types of data. With tablano we replace the paper forms and documents, which significantly simplifies and optimizes business processes. 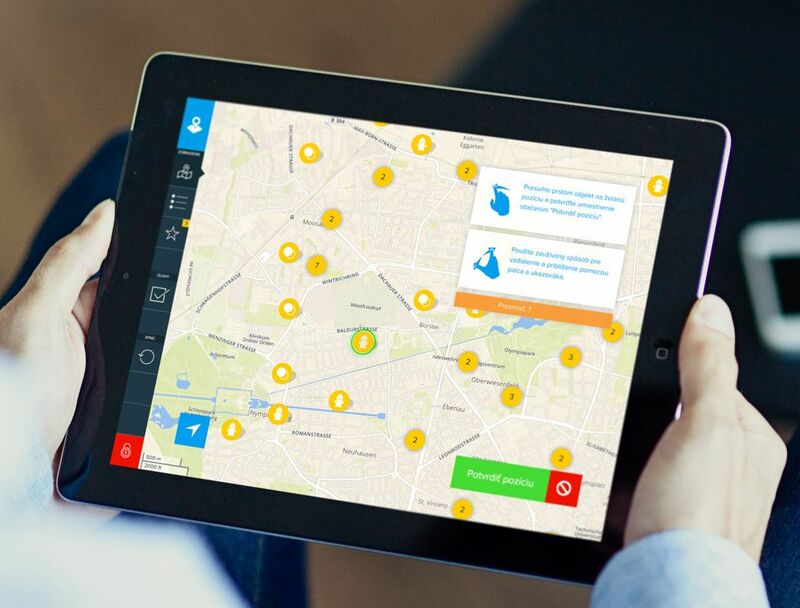 All objects of water and sewerage network: connections, manholes, hydrants, water meters, slider, but also information about sampling site, can be easily and perfectly accessible anywhere, even outside the coverage of the GSM network. GIS Services Ltd. has been for last 13 years a professional partner for update, digitization, data collection, management and GIS in Germany, Austria, Netherlands, Switzerland, and for the last five years in Slovakia, too. Since its establishment in 1990 Transmisie engineering a.s. executes supplies of drives and machinery equipment for waste water treatment plants, pumping stations and drinking water treatment plants. At this year's exhibition „AQUA TRENČÍN 2016“ company will present the following products: multi-rake bar screens and fine stair screens, screw screens, complete plants, sewage sludge receiving stations, screw conveyors and presses, grit separators and grit washers, low-platform rail chassis, surface aerators and mixers, drives of scraper bridge travels, drives of flood-gates and stop-logs and drives of screw pumps. SLAMdam is a temporary flood defender. Compact and easy to set up, it could make a huge difference in the event of flooding or disasters. It enables a dam to be built by 2 people in just 1 hour, spanning 100 metres in length and with a partition boundary of 50 cm! What's more, the elasticity of the SLAMdam means it can be installed on any surface. The material's high degree of flexibility ensures that bumps are easily covered. MIVA s.r.o. is trading and manufacturing company. The company sells technical equipment and materials for pipeline construction, water supply, sewerage and distribution of various media in the industry. These materials are mainly plastic HDPE, PP, PP-H, PVC-U. In production activities it is specialized in the production of plastic components for water and sewerage networks, and in production of various products for the industry. The latest news is the production of plastic immersion walls. These product is using in sewerage networks and small hydroelectric power plants. 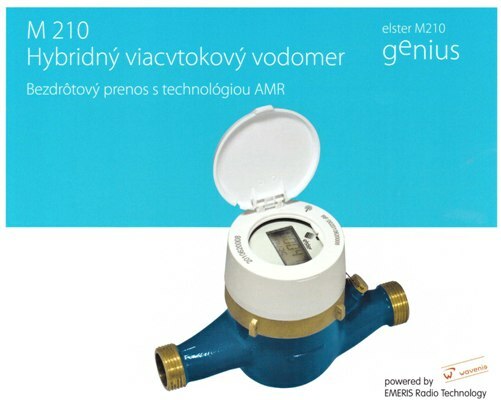 The campany Messtechnik Ltd. is exclusive dealer of watermeters ELSTER in Slovakia. 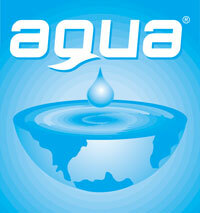 We offer the newest measuring technology, hybrid domestic and industrial watermeters. Also we offer wireless transmission technology AMR. PRAKTIKPUMP, s.r.o. is one of the leading manufacturer and marketer of pumping equipment in Slovakia. At Aqua trade show 2016, the company will introduce new trends in pumping sewage and other media with high solid content. The company will launch a new range of its own products - helical-type pumps PRAKTIKPUMP SPIRAM which development takes place in cooperation with the Department of Hydraulics at Slovak Technical University in Bratislava. In addition, a new segment of portfolio for water treatment in the form of ULTRAFILTRATION will be introduced. A presentation on this world's latest technology will be held by Ing. Michal Prosňanský, PhD., an expert on the issue with years of experience in Japan. STORA, s.r.o. is a member of BSI group which associates significant European producers of constructions elements for sewerage and infrastructure: STORA-DRAIN producer of polymer concrete drainage channels; FONDATEL-LECOMTE producer of cast iron covers and gratings; HERMELOCK producer of composite covers; ROTOPLAST producer of plastic tanks; ARVA producer of plastic pipeliners. Regotrans – Rittmeyer, spol. s r.o. The company concerns with the complex services in hydroengineering, sanitary and environmental engineering, power supply, building control and engineering networks. Based on customer‘s requirements we are developing the projects with the assertion of modern technologies and with the peak installation‘s utilisation. For every technological complex we design an optimal control and regulating system. After ending up with the specific project we provide an user defined guarantee and afterguarantee service with provision for increasing the economics of running installations. 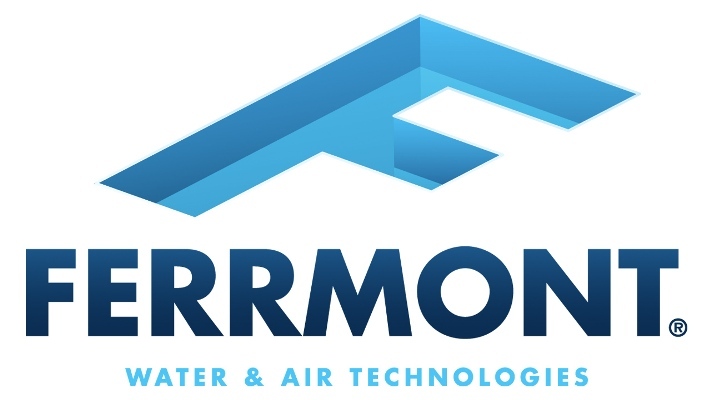 The company operates on the market since 1994 as an important supplier and manufacturer of technologies for wastewater treatment plants. Our main focus is to supply technological equipment for wastewater treatment; hot dip galvanized steel fittings, complete plastic aeration systems and mechanical equipment, assembly included. We provide service for several well-known technological brands as Grundfos, Wilo and Robushi. Our company also offers a reparation and renovation of existing equipment. 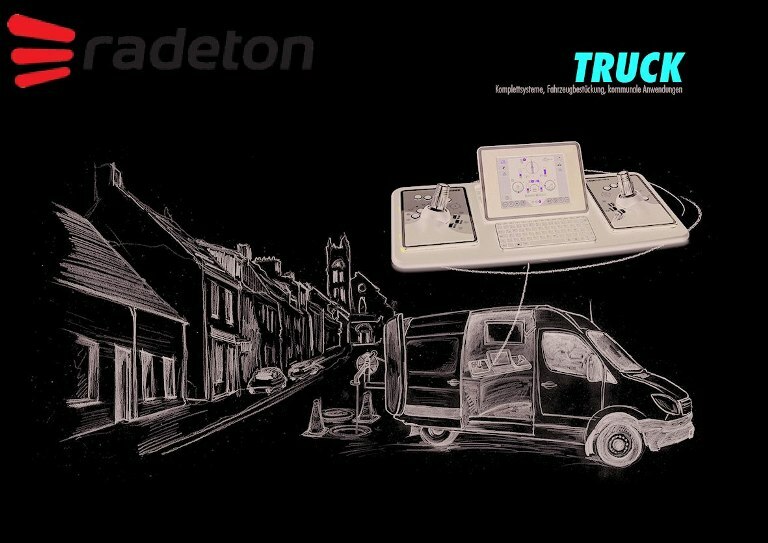 At the fair, the Radeton company plans to introduce technological innovations in the field of video surveillance systems for sewer and pipe monitoring. In cooperation with the leader in this area, the company Ipek, we will introduce a new inspection camera car. It includes a completely new QCD system for easy composition of systems into the pipeline diameters from DN140 to DN1000 without using any tools! We will also present a variety of products from our offer, such as: locators of engineering network with new RD8100 and devices for finding water leaks with new product innovation EUREKA 3 PROFI! Come and see our qualities to our booth. Amiantit Germany GmbH was established 1993 nearby Döbeln in Saxonia, Germany and is owned by the AMIANTIT Group, Saudi Arabia. Today, the company produces and distributes FLOWTITE continuous wound glassfibre reinforced plastic (GRP) pipes with nominal diameters up to 4,000 mm. 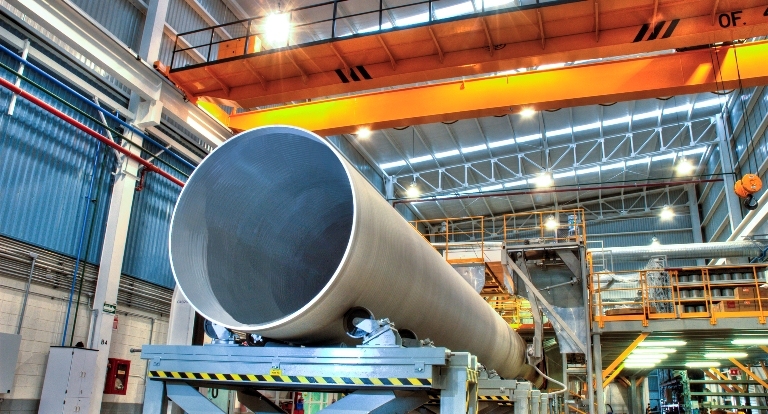 FLOWTITE GRP pipes are worldwide manufactured in diameters between 100 mm and 4,000 mm, depending on local capabilities. The available standard lengths are 3, 6 and 12 meter. The available pressure range, depending on pipe diameter is up to 32 bar. VA TECH WABAG Brno s.r.o. since 1994 has been active since 1994 on the Czech and international market for water treatment and is a leader in the field of demineralization both ion-exchange and membrane technologies, treatment of surface and underground waters, treatment of industrial and drinking waters, treatment of industrial and municipal waste waters including sludge processing. The company offers technological proposals, design, deliveries of machinery and equipment, erection, commissioning, financing, post-warranty service and equipment operation in municipal and industrial areas.